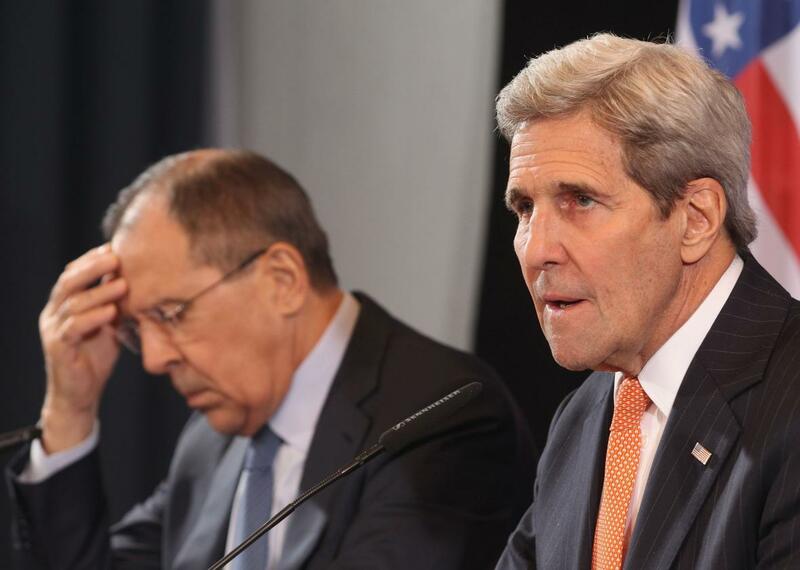 U.S. and Russia agree to begin a cease-fire in Syria on Saturday—but what about the Syrians? The U.S. and Russia, backers of opposite sides in Syria’s bloody civil war, have agreed to the terms of a cease-fire to begin at midnight on Friday. The cease-fire was originally supposed to go into effect last week, but Secretary of State John Kerry and his Russian counterpart Sergey Lavrov continued negotiating the terms of the deal. Of course, it’s all well and good for Washington and Moscow to cut a deal, but the Syrians on the ground are the ones who actually have to stop fighting. According to the Washington Post, it’s not quite clear at the moment whether the Russians are speaking on behalf of Bashar al-Assad’s regime, though Russian airstrikes have been critical in the government’s recent military offensive around Aleppo and it seems unlikely that Assad would press on without Russian help. The negotiating team representing the Western-backed Syrian opposition has until noon on Friday to review the deal. Given the extent to which Syrian rebels feel betrayed by the U.S. failure to stop Russia’s airstrikes, it’s certainly possible that at least some groups of rebels may not abide by the cease-fire. Another complication in the deal is that it’s only a partial cease-fire—airstrikes against ISIS and the al-Qaida–linked Jabhat al-Nusra will still be allowed in Syria. Given that different groups are often intermingled on the ground, and that Russia and the U.S. have disagreed over which targets are linked to terrorism, rebel groups are worried that Russia will exploit this loophole to continue bombing their positions. Given that a cease-fire—if it does actually happen—would effectively freeze in place the government’s recent gains in territory around Aleppo, we’re likely to see a brutal and bloody increase in fighting in the next few days as Assad’s Russian-backed forces try to push these gains as far as possible. Not that things haven’t been brutal and bloody for years now: The announcement of the deal comes on the same day that a U.N. panel released a new report accusing Syrian government forces along with ISIS of ongoing war crimes and crimes against humanity.